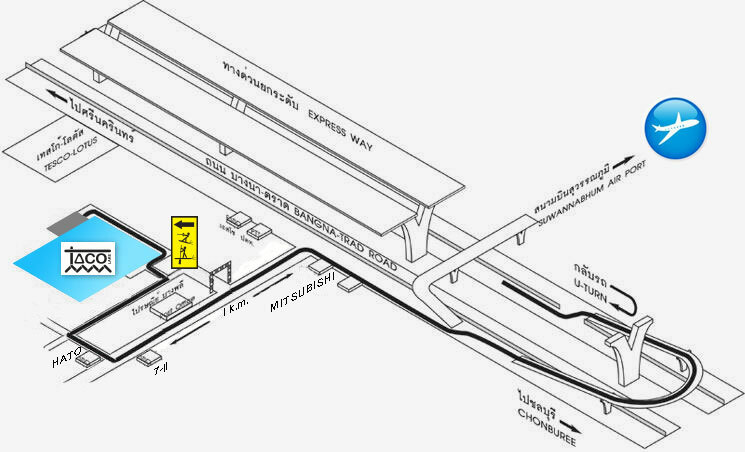 Luangpor To (Bangphliyai Temple), turn right into the first soi., follow the SKI signate and turn right again. Take sky train or Airport Link and call Taxi. across the road and take mortocycle.